Check here for the latest updates on what we're doing at CUYFD! National Prevention Week is May 13-19, 2018 and National Prevention Day is February 5th! Check below for some information on prevention. The Center for Urban Youth and Family Development is diving into show business! Below is the premiere episode of our new TV show The Urban Review! CUYFD would like to announce that we've received funding from the DWMHA to conduct a series of Teen Parenting classes using the Power Source Parenting curriculum. The Power Source Parenting course is an evidence based program designed to help youth become better parents by teaching various techniques to handle the stresses of raising a child. These workshops will be hosted for young adults 16 and over in our community, who have children, expect children, raise children, or may want to become parents in the future. The skills taught in this course can be applied to all areas of life. We would like to thank the DWMHA for helping us provide this service to our community. The Center for Urban Youth and Family Development (CUYFD) is proud to announce that we have been award a grant from the Detroit Wayne Mental Health Authority (DWMHA) to begin Suicide Prevention work! Starting this spring CUYFD will begin doing suicide prevention workshops in both local high schools, and with our Summer Youth Employment Program participants to increase awareness about suicide in our community and to prevent further instances of suicide attempts. Additionally, CUYFD will be offering free Question, Persuade, Refer (QPR) trainings for anyone interested in becoming a Suicide Prevention Gatekeeper. We would like to thank the DWMHA for presenting us with this opportunity and we look forward to doing this important work in our community. Special Thanks to Detroit Pistons Player Kentavious Caldwell-Pope who generously donated tickets to sit in his section for tonights Piston's game. CUYFD along with NCADD, MYOI and the STEPS Agency was able to host over 20 youth at tonights game. They enjoyed a ride on the Pistons tour bus, free hot dogs and chips, and great seats to the game. Annual Thanksgiving Basket Give Away! It's that time of year again! Today we did our annual Thanksgiving give away! Thank you to Omega Psi Phi Fraternity Nu Omega chapter for making this possible. Happy holidays! MI Healthy Mind spoke with Marsialle Arbuckle, Executive Director of The Center For Urban Youth & Family Development. Mr. Arbuckle shared his story of triumph and love after having been abandoned along with his two young brothers by his heroin-addicted parents, and who were ultimately saved by the foster care system. Joining us: Jennifer DeVivo, LMSW, ACSW Executive Director of Fostering Futures who gives her insight and expertise on the goals of the foster care system, and Anthony Pollicella of The Pollicella Insurance Agency who discusses the improvements and changes in healthcare, and in particular, mental health parity. 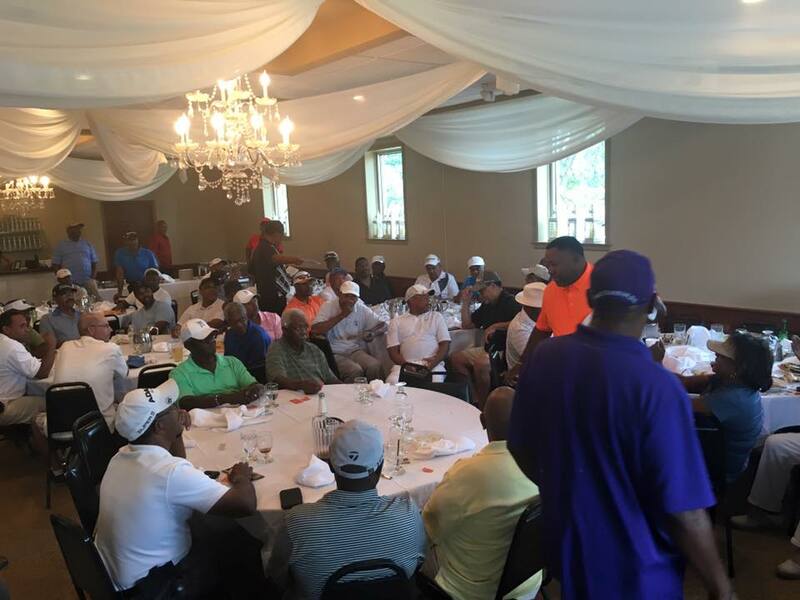 This years Prostate Cancer Survivors Golf Outing was our biggest yet! We had nearly 100 golfers and raised approx. $5000! 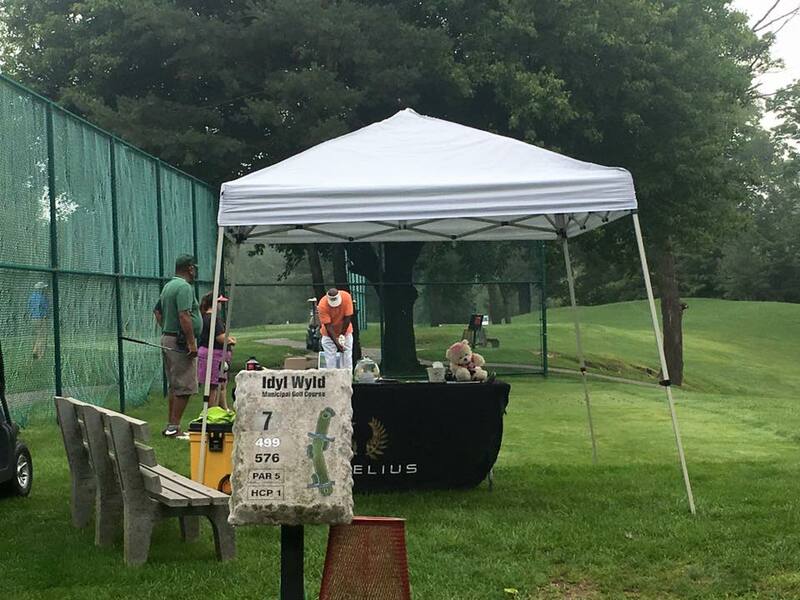 Thank you to all of our sponsors and all of the golfers who came out and competed. We look forward to seeing you next year! 2015 Summer Youth Employment Program: Teaching foster youth life skills, workforce development, and drug abuse prevention techniques. Additionally we'll be taking them on college tours, cultural engagements, and community service projects. 2015 Young Adult Parenting Classes: Using Power Source Parenting by Bethany Casarjian PHD as our guide we will be facilitating parenting workshops for young parents and parents-to-be throughout the Detroit area. 7th Annual Prostate Cancers Survivor Golf Outing: its that time of year again! Our 2015 outing promises to be the best yet and you're invited! With 18 holes of golf, lunch at the turn, a skins pot, banquet dinner, raffle/door prizes, and more this event will have something for everyone! Click here for more details! 2nd Annual Community Street Festival: In collaboration with the Coalition on Healthy Youth and Families (CHYF) and the National Council on Alcoholism and Drug Dependence (NCADD) Youth Programs, and the Detroit Wayne Mental Health Authority (DWMHA) we will be hosting a community street festival in the parking lot of the NCADD building. Last year we had free food and games, rides, Zumba classes, a basketball tournament, and Coco from Mason and Coco in the morning as our MC! Check out our facebook page for more up to date info on CUYFD events!! Thank you to all that came, and if you didn't make it this year we look forward to seeing you there next year! More pictures can be found on our facebook page. Marseille Arbuckle, Jr. handing out turkeys on the 15000 block of Indiana St.
Marseille Arbuckle, Jr. and oour neighbors were all smiles for the holidays. Monday November, 23rd was our annual Thanksgiving box giveaway! Our program director Marseille Arbuckle, Jr. and Executive Director Marsialle Arbuckle, Sr. handed out 10 boxes with turkeys, mac and cheese, dressing, sweet potatoes, and vegetables. Special thanks to the Nu Omega chapter of Omega Phi Psi Fraternity Inc. for help sponsoring this endeavor for another year. Happy Thanksgiving!! He wears number 59 on the field, but on Tuesday, Lions linebacker Tahir Whitehead wasn’t facing an opponent but helping Detroit’s ninth graders at Martin Luther King, Jr. Senior High School on the east side of the city by showing them how they can succeed in life and school by creating a personal culture of success. To do this, he teamed up with the Michigan Department of Health and Human Services (MDHHS) for a “Culture of Success” assembly with 350 MLK ninth-graders. The assembly was followed by breakout sessions where students at the Detroit school discussed how to build a strong foundation by creating healthy habits for themselves, choosing their peer teams wisely and reaching out to their support teams such as school staff, community partners, tutors and mentors including the MDDHHS Community School coordinators and Pathways to Potential success coaches for help. Whitehead is donating his free time on select Tuesdays during football season to help kids in Detroit and make more people aware of the ways to help children and their families tackle obstacles to opportunities that impede success and their long term self-sufficiency. These school programs touch on health, fitness and staying/succeeding in school. The Center for Urban Youth and Family Development (CUYFD) conducted a community service project to bring awareness to the disproportionate amount of African Americans in the Michigan prison system. African Americans represent 49% (approx. 20,220 individuals) of the states total prison population of 43,390 people in the Michigan prison system yet they only represent 14% of the states total population. Sponsored by CUYFD Board Member, Darnell Jackson, CUYFD placed 1000 flags on the front lawn of Hartford Memorial Baptist Church to represent the approx. 20,220 African Americans currently incarcerated in Michigan, to raise awareness about disparities in the Criminal Justice system. We also sponsored "Reclaiming the Village: A Conference on Social Justice" at Hartford Memorial Baptist Church which featured 'The 3 Doctors' Drs. Sampson Davis, George Jenkins, and Rameck Hunt who wrote "The Pact" telling their story about making out of Newark, New Jersey to become doctors and give back to their community. The event was a huge success with over 150 people in attendance. For the second year CUYFD sponsored The Annual Back to School Rally hosted by Light House Community Church! There was free lunch, school supplies, and backpacks given away! Rev. Taft from Light House Community Church has worked closely with The Center on multiple events and is close community partner of ours. The Mumford High School Marching band came through and performed for us for the second year in a row! Thanks to all those that continue to make this event possible.